Volkswagen has received two awards for Roadblock for New Beetle and the creative outdoor advertising for Touareg, one award for Media Plan of the year-Merit for Volkswagen Brand campaign and one award for the campaign of the year for Volkswagen Total Roadblock at the OAC (Outdoor Advertising Convention), 2010 leading honors for path breaking Out of Home advertising campaigns. Speaking on the occasion Lutz Kothe, Chief General Manager, Marketing and PR, Volkswagen Group Sales India Pvt Ltd said, "The idea behind the Outdoor Advertising was to create maximum buzz, awareness and impact about "Brand Volkswagen' in India and help the company grab attention and mindshare of potential customers. These campaigns not only created brand recall for Volkswagen across the nation but also played as key part in boosting the company's sales." In the creative category, Volkswagen's cluster Billboard advertisement for the New Beetle bagged the Gold Award in Automotive Sector. A cluster of billboards at Mumbai's main junction caught everyone's attention as it depicted different parts of the New Beetle. The cluster was dynamic; one hoarding followed by another was taken by a period of consecutive days, finally culminating in the entire set showcasing the New Beetle's iconic shape. The cluster creative was clicked and forwarded by millions. Volkswagen's campaign for the SUV Touareg also bagged the Sliver award in the Automotive Sector. The campaign consisted of the Frame of Touareg lighting the Volkswagen logo on the billboard, became the talking point of the town. 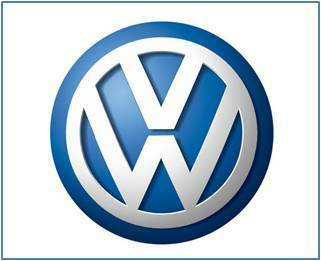 The Campaign of the Year ' Gold was awarded to Volkswagen's Total Roadblock for Beetle, Touareg and brand Volkswagen. The initiative was strategically placed at key junctions to create maximum visibility and the right messaging across. The merit award for Media category: Media plan of the year - National was awarded to Volkswagen brand campaign for Outdoor hoardings.